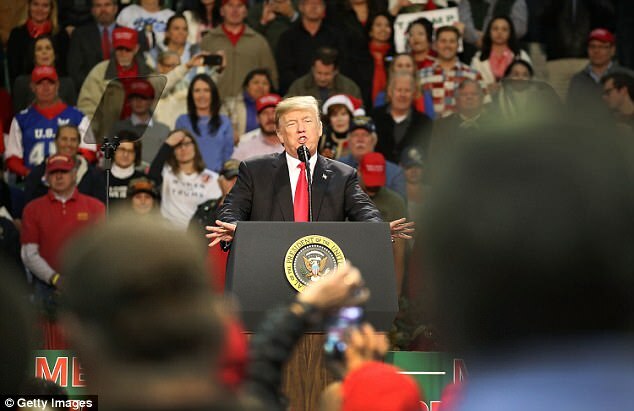 President Trump on Saturday evening issued a call for a reporter with The Washington Post to be fired because of a quickly deleted tweet that presented a misleading impression of Trump’s rally crowd in Florida. 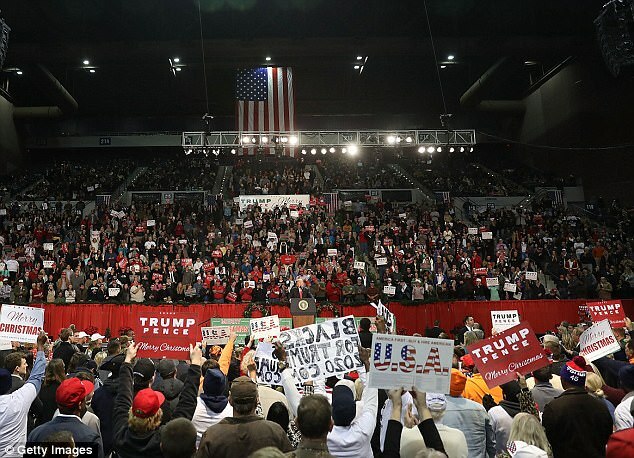 The Post reporter, David Weigel, had earlier tweeted a photo of the crowd gathered at Pensacola Bay Center for Trump’s speech there Friday evening, showing numerous empty seats. He removed the tweet after being told by others that the photo was taken before the venue filled up and apologized in a later Twitter exchange with the president. Earlier Saturday, Trump similarly lashed out at two other media organizations, ABC and CNN, that had issued corrections on stories about Trump in recent days. “Fake News CNN made a vicious and purposeful mistake yesterday. They were caught red handed, just like lonely Brian Ross at ABC News (who should be immediately fired for his ‘mistake’). Watch to see if @CNN fires those responsible, or was it just gross incompetence?” he tweeted. Early Saturday morning, Trump tweeted about the “GREAT EVENING last night” at his rally in Pensacola, Fla., where he told the audience, among other things, to “get out and vote for Roy Moore,” Alabama’s Republican nominee for U.S. Senate, who has been accused of sexual misconduct with teenage girls. “Arena was packed to the rafters, the crowd was loud, loving and really smart,” Trump wrote. 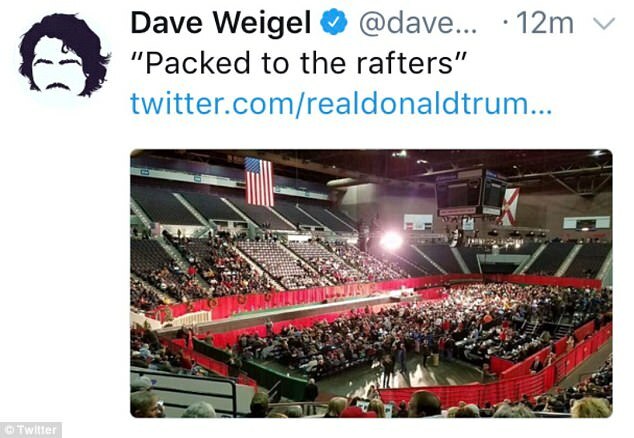 A short time later, Weigel quoted Trump’s tweet and wrote “Packed to the rafters,” attaching a photo that showed hundreds of available seats in the lower and upper levels. He deleted it about 20 minutes later. 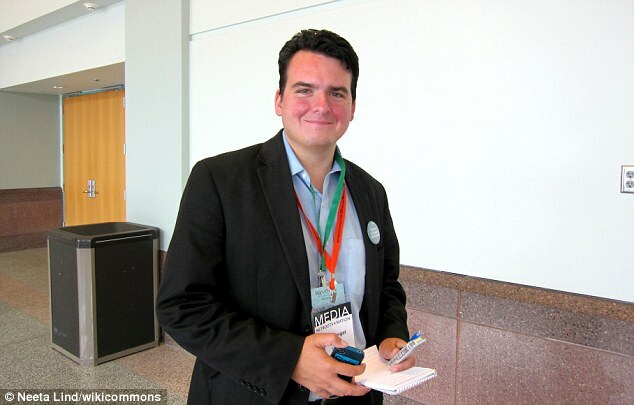 Around 5 p.m., Trump addressed Weigel’s tweet with his own: “. 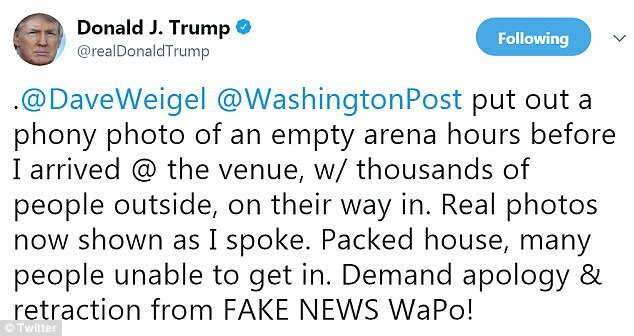 @DaveWeigel @WashingtonPost put out a phony photo of an empty arena hours before I arrived @ the venue, w/ thousands of people outside, on their way in. Real photos now shown as I spoke. Packed house, many people unable to get in. Demand apology & retraction from FAKE NEWS WaPo!” the president wrote, including pictures of the venue’s seats filled as he was onstage.